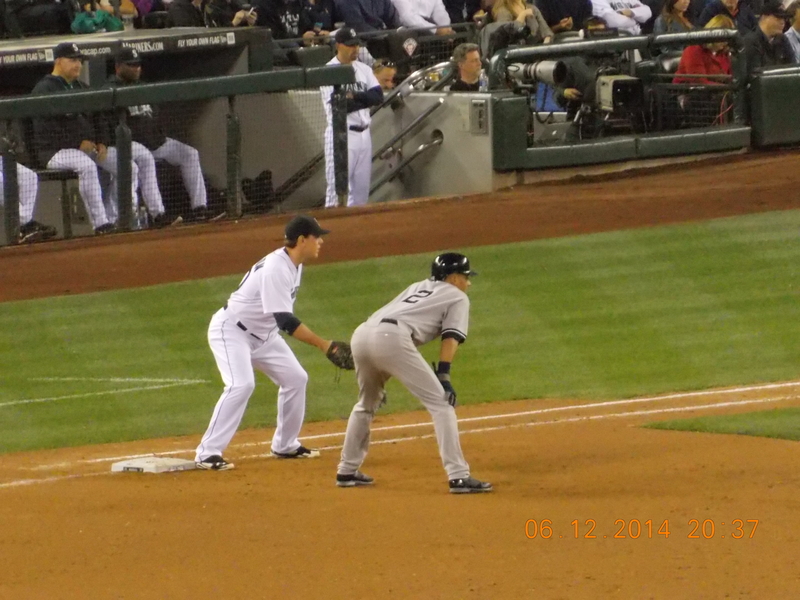 I am going to the Seattle Mariners game tonight, if only to say good-bye to one of the best players in baseball, Derek Jeter. Though he plays for the hated New York Yankees, he has been the gold standard in terms of his play on the field, as well as his conduct off the field. He is making the rounds, playing his last games in ballparks across the country. Many teams present him with good bye gifts, ranging from motorcycles to keys to the city. The ballpark here in Seattle is called Safeco Field. It has a retractable roof for the rainy periods in Seattle. 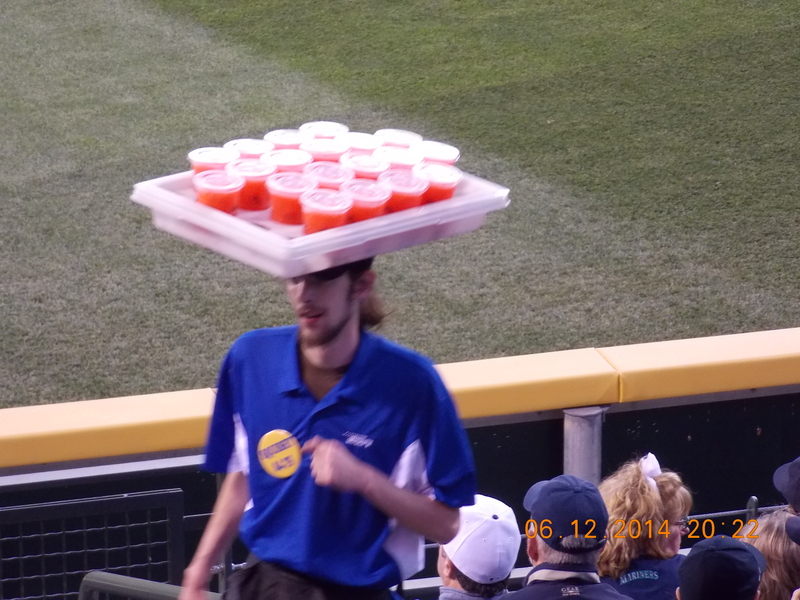 But even stranger than the ballpark are the team’s promotional nights or as we fans call it, “give-away” night. The strangest one yet is Sriracha Night. On May 22, against the Houston Astros, the Mariners celebrated the red sauce with the rooster on the label. Fans willingly bought a $25 package that included a ticket to the game, a Mariners Sriracha T-shirt, and one of three menu items. The choices were a Sriracha cream cheese hot dog, Sriracha garlic fries, or a Sriracha milk shake! My question is, why? Perhaps it is the condiment of choice these days among the young and restless. Or perhaps the Mariners front office just ran out of ideas during a luncheon meeting filled with Sriracha? Funny Nose Glasses Night, 1982. Everyone looked like Groucho Marx. Babe Ruth must have been turning in his grave! Stitch n’ Pitch Night, 2005, fans were encouraged to bring their knitting and crocheting supplies to the ballpark, sit in a special section, the next one is July 24!!!!! Personally, I think this entire list is rather sad. I think the fans, at least most kids, would like a T-shirt, baseball bat, glove, bobblehead, batting glove, or heaven forbid, a real baseball. Tonight, they are giving away Macklemore bobbleheads. Who wants a bobblehead of a white rapper who roots for the Seahawks? Not me! 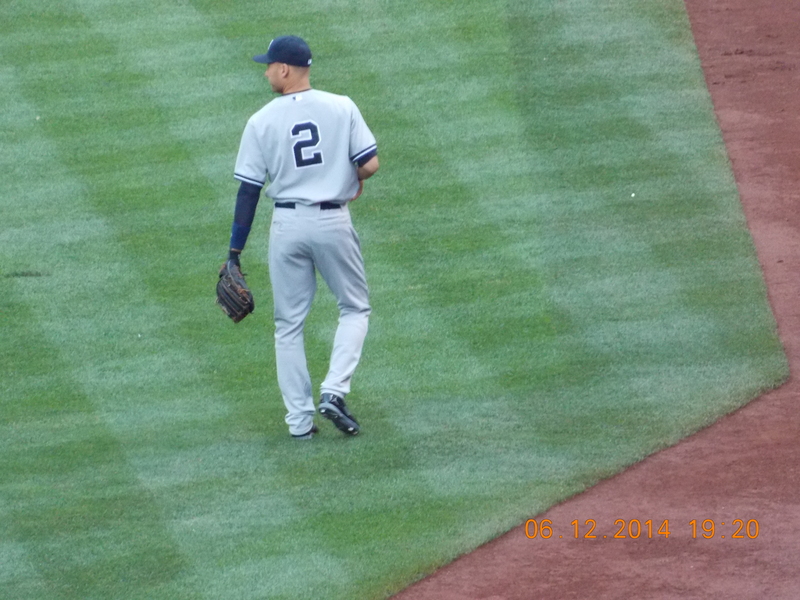 There were more people in the stands with Derek Jeter T-shirts and jerseys than Mariners jerseys. What’s wrong with Seattle?